No matter how much money we have got in our account or we earn, we people are always cost conscious especially in the west. We always welcome some discounts and always encourage smart spending where we are getting maximum possible utility out of least expenses made. And if we talk about the wood pallet recycling, this is just like a blessing. We make all kind of furniture items using the wood pallet for indoor and outdoor as well. But we never bother about the finances as the shipping pallets come free of cost. 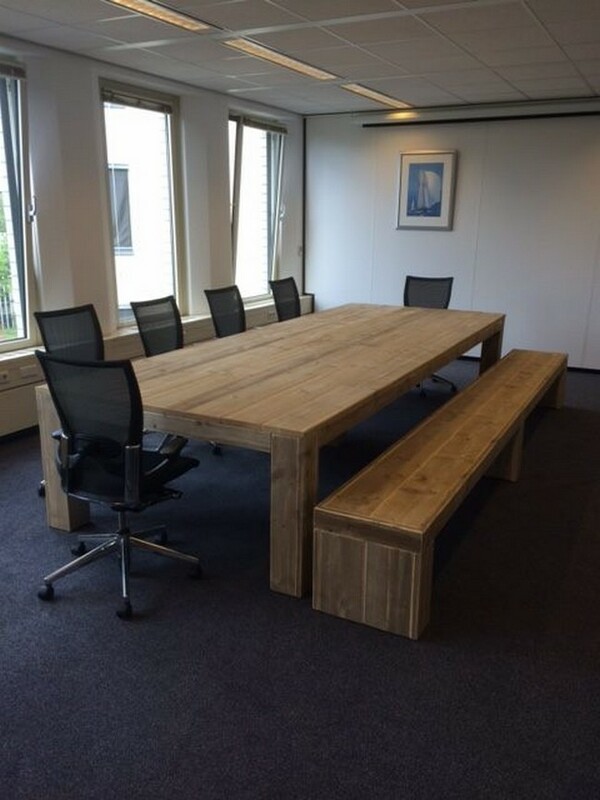 We will show you some ideas where wooden pallet is recycled. 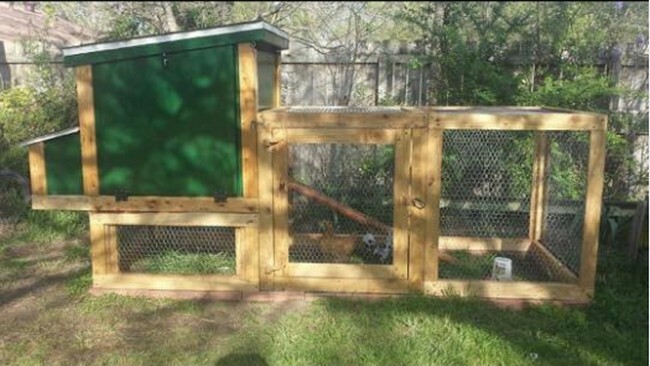 This is a classic example of the commercial use of wood pallet. 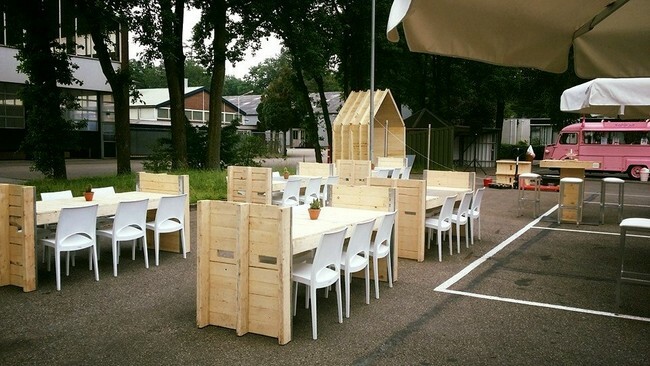 We can see a number of pallet wood creations in this outdoor restaurant, but the most prominent wood pallet creation is the separator where we have used a whole fresh wood pallet as a separator. Hallway wooden tables are meant to carry some decoration pieces because they are just on the way, so we don’t normally use them as a side table. So this one was made with the roughest shipping wood pallet that we were left with. All the scars of nails are still there still it made a perfect hallway wooden pallet table. 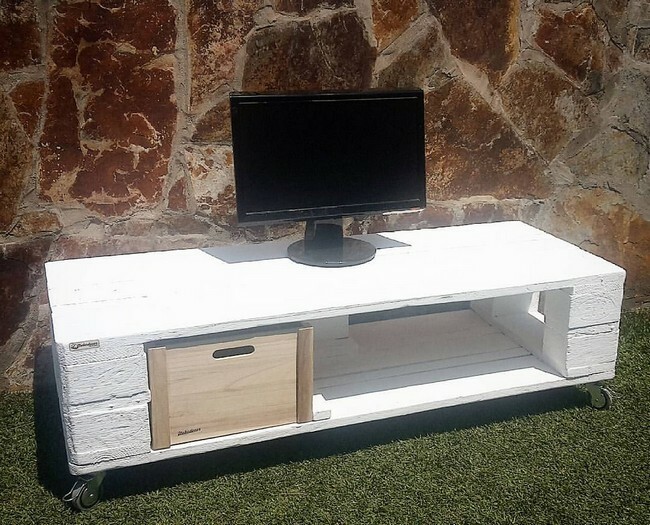 What do you say about this cute wood pallet recycled TV trolley or stand? This is a real beauty made with the wood pallet. Don’t worry about the metallic wheels on the base, you can easily get them from the market against some bucks. I have seen a number of people who are just so damn crazy for their pet birds. They bring rare breeds from all around the world, but when it comes to the house for birds they seem confused. But this is no more a confusion if you are a pallet wood crafter. And this is something beyond the regular exercises that we do with the shipping pallets. 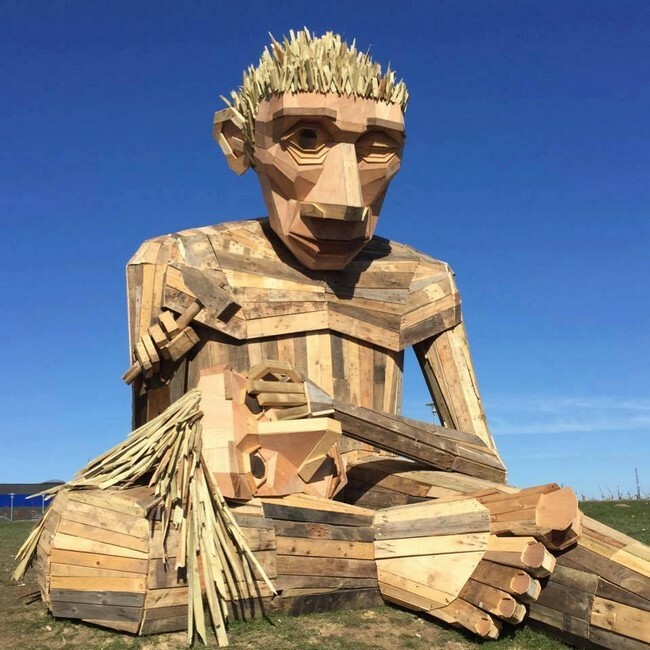 This gigantic wood pallet caricature is all made with the wood pallet that was considered to be useless for making some decent furniture items so that timber was used this way. 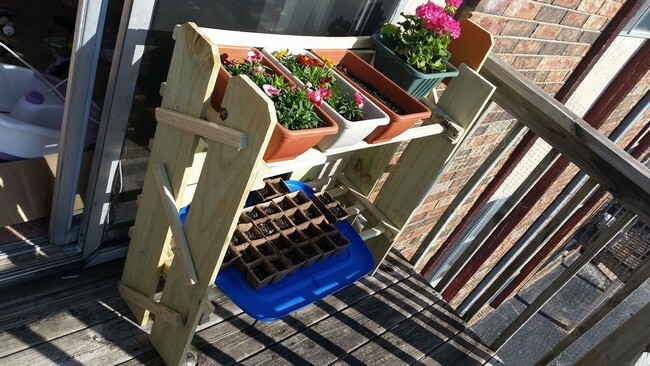 A wood pallet repurposed planter is also one of the best wood pallet creations as this can be made pretty easily because of the simple style. It requires far lesser timber and ultimately saves time as well. 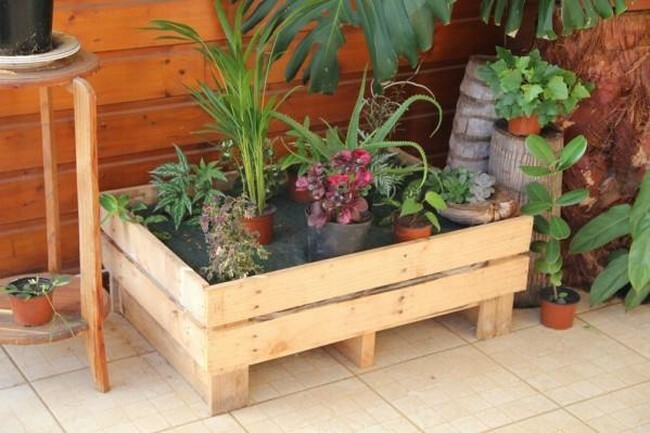 This is a perfect wood pallet planter for your house with the simplest shape that could be recycled. 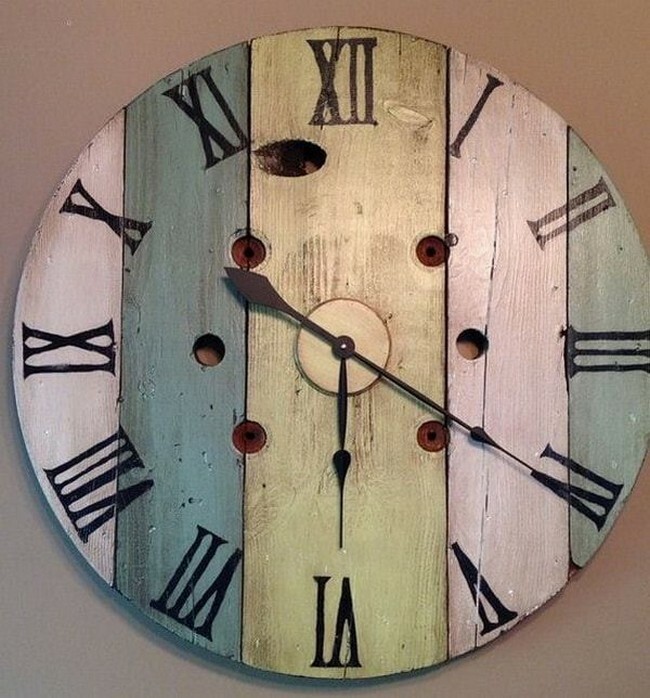 To make this wooden pallet wall clock you also need to be well versed with this specific skill related to watches and clocks. But if you just have to make it as a symbolic and static clock, just go for it. On the end, this wooden beauty would just make your terrace a healthy place stuffed with a your favorite annuals that you always want to be around you. This wooden pallet planter would carry all the planter pots that you have got to be displayed in the terrace and would keep them arranged.